The great Branson Show “Down Home Country” is country music at its downright best! And it’s not just country; these immensely talented singers and pickers give you a taste of gospel, bluegrass, and western swing as well. Jamie Haage is joined by Melody Hart, a fantastic fiddler player, and that crazy and colorful comedian, Jarrett Dougherty and all of his crazy characters. Traditional country tunes are the backbone of the show, and include songs from big time, beloved artists like Waylon Jennings, Merle Haggard, George Jones, and Hank Williams. And, having a real live band on stage makes all the difference when it comes to putting on a fantastic Branson show! “Down Home Country’s” gifted and experienced singer and fiddle player, along with the Grand Band, perform an amazing line-up of songs, but if there’s one you’re just dying to hear, go ahead and ask; these accomplished artists have an extensive catalog of music at their fingertips! 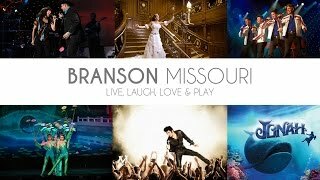 Good music, clean comedy, and a whole lot of country charm make this your morning Branson show of shows! It’s “Down Home Country” and it’s a rousing great time!